Call or apply online – receive a FREE valuation tailored to your Aston Martin’s individual specification. We contact dealers and buyers UK wide before making a no obligation cash offer. You decide if you want to sell. Payment made by CHAPs secure bank transfer and any finance settled BEFORE collection. Sell my Aston Martin have an easy 3 step solution for Aston Martin owners wanting to secure the very best cash offers for their vehicle. Sell my Aston Martin step 1 – Call 0330 880 8585 or apply on line today. Appraisal experts will assess your vehicle and provide you with a FREE and no obligation Aston Martin valuation tailored to your vehicles individual specification. Sell my Aston Martin step 2 – We alert specialist Aston Martin buyers and main dealers throughout the UK before making you a guaranteed cash offer we are confident will be the very best in the market today. It is then you decision if you want to sell. Sell my Aston Martin step 3 – Our buyer calls to your home or place of work at a time that is convenient to you. After inspecting the vehicle he transfers the money directly into your account with a secure CHAPs bank transfer. When you are happy the money has arrived, release the vehicle. We can also arrange to settle any outstanding finance or retain cherished numbers as part of the service. 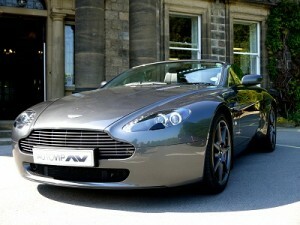 Sell my Aston Martin are owned and operated by AutoVIP.co.uk, one of the UK’s leading prestige car buying sites. We have already arrange the purchase of millions of pounds of vehicles from celebrities, companies and private customers who wanted to sell their Aston Martin V8 & V12 Vantage, DB9, DBS, Rapide, Cygnet and Classic. Discretion and a professional, efficient service are assured. Valuation experts assess your vehicle and then contact relevant dealers from a network of over 1000 buyers nationwide before making their best cash offer for your vehicle. Aston Martin V8 Vantage – Introduced back in 2005 for the 2006 model year line up, the Aston Martin V8 Vantage has become a firm favourite with buyers throughout the UK. It was introduced with a 4.3 380HP engine which was up rated to 4.7 and 420HP in 2008. With a Roadster option and special editions including the N400 which was introduced to celebrate the success of Aston Martin at Le Mans. Whichever model you decide you want to sell, call us first and read our CUSTOMER REVIEWS page. We have a lot of satisfied customers who wanted to sell V8 Vantages and found the best cash offer right here. also DBS in both Coupe and Volante variants. Rapide – Introduced to the line-up in 2010, the 4 door Rapide had a slowish start as many thought the vehicle was a little overpriced. Now the market has settled down and prices have stabilised, the Rapide is one of the most sought after used Aston Martin’s in the range. Please let us have to opportunity of purchasing your Rapide. Call our team today for a free and no obligation Aston Martin valuation. You then decide if you want to sell. Our network of specialist buyers also includes buyers of “classic” vehicles. We are particularly interested in low mileage DB7’s and have dealers desperate to get their hands on DB4, DB5, DB6. If you have one of these vehicles in any condition, contact us today on 0330 880 8585 and we will be happy to help you sell your classic Aston Martin. How do I get paid? Once you accept an offer, our buyer calls to your home or place of work at a time convenient to you. He inspects the vehicle and transfers the money directly into your account with a secure CHAPS bank transfer prior to collection. Once you are happy the money has arrived safely into your account, release the keys. We can also settle any outstanding finance and arrange number plate retention. We have dealers who urgently want stock today. We have customers waiting for Aston Martin DB7?s,DB9?s, V8 Vantage, DBS, and Rapide so please call today. Please note our cash offer is guaranteed as long as the vehicle matches the original description given. Please note we are not associated with the manufacturer Aston Martin.